Pickering's Navy Strength gin, also affectionately known as the bearskin gin, is a special release that marks Pickering Gin's appointment as the official gin sponsor of The Royal Edinburgh Military Tattoo. Smooth, clean and powerful, this gin has initial juniper and aromatic spice flavours that open up to a delicious sweetness. 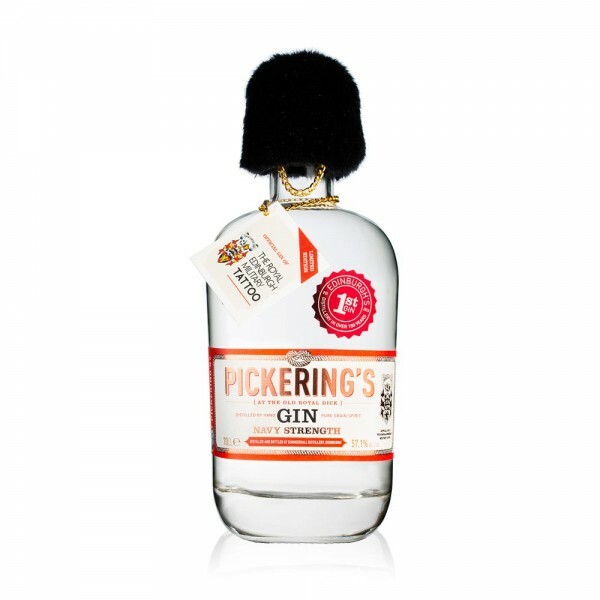 Recommended serve: Pickering's Navy, with its strength and sweetness, makes for an incredible cocktail gin.